Try this coordinated table-setting idea for a special occasion or to elevate an everyday meal. Sometimes it’s fun to create a dinner table that makes an impression. 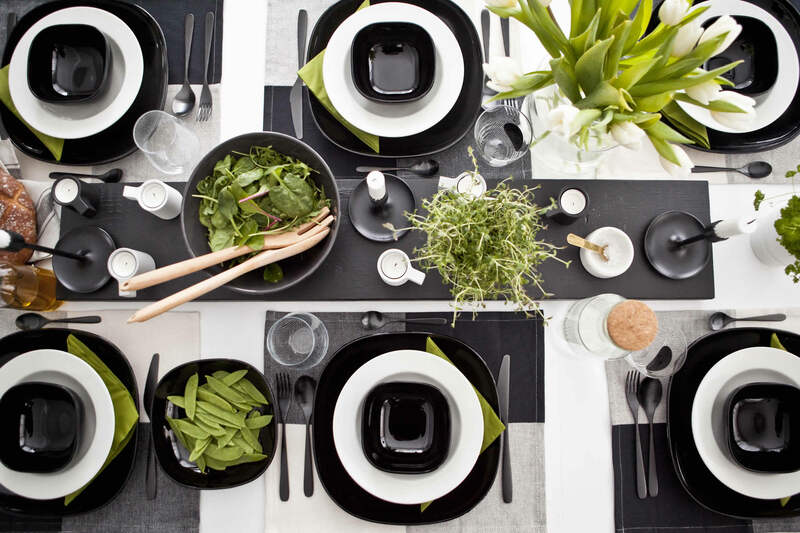 Start by layering each place setting with monochrome crockery, then choose an accent colour for the little extras like napkins – natural greens work well with black and white. Use big bowls of stove-to-table food for a relaxed, help-yourself feel, and try recycling an old shelf to use as a stand down the centre of the table. 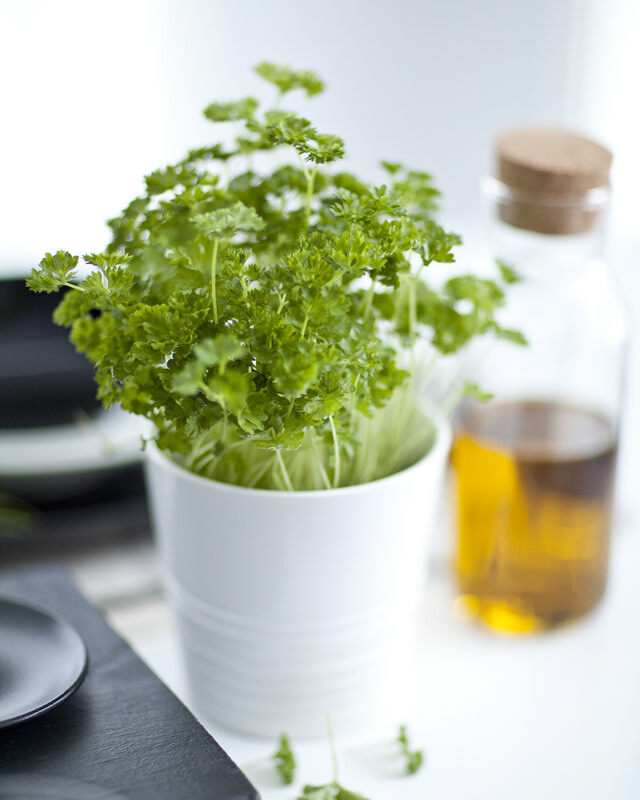 Finish with pots of fresh herbs for sprinkling, and put oils and dressings in glass decanters. 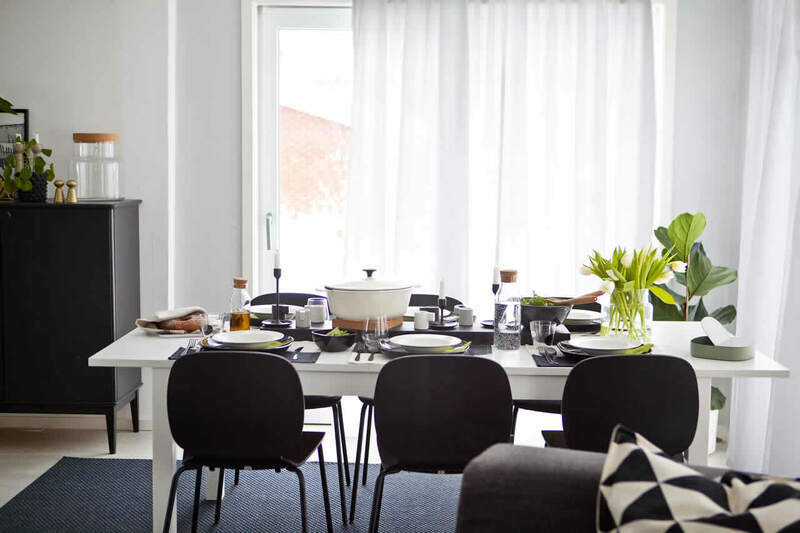 Sofie’s monochrome table matches the rest of her house – she uses greenery as a natural accent throughout her black-and-white home. Three colours maximum is a good rule to follow, especially for a busy table setting. "We love having friends over for dinner, and creating a colour-coordinated table setting instantly makes it feel like a special occasion," says Sofie.